This project offers teachers and their departments high quality support to address the reasoning and problem-solving challenges of the mathematics curriculum and its assessment in the new GCSE. 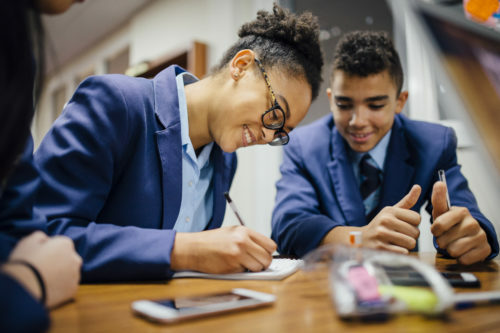 Many departments will be considering not only the long-term development of these skills across KS3 and into KS4, but also the immediate needs of current KS4 pupils facing the challenges of the new GCSE. This programme aims to support both these aspects through professional development activities focusing on practical and accessible classroom-based approaches. the role of reasoning and problem solving in the new curriculum and the teaching and learning needed to support pupils develop these skills across all teaching. how these skills are tested in the new GCSE and what particular teaching and learning approaches can support current KS4 pupils address these challenges. effective collaborative approaches to embedding developments more deeply. There will be gap tasks to complete between sessions and a school visit will take place prior to the first workshop. There is no charge to take part in the project.